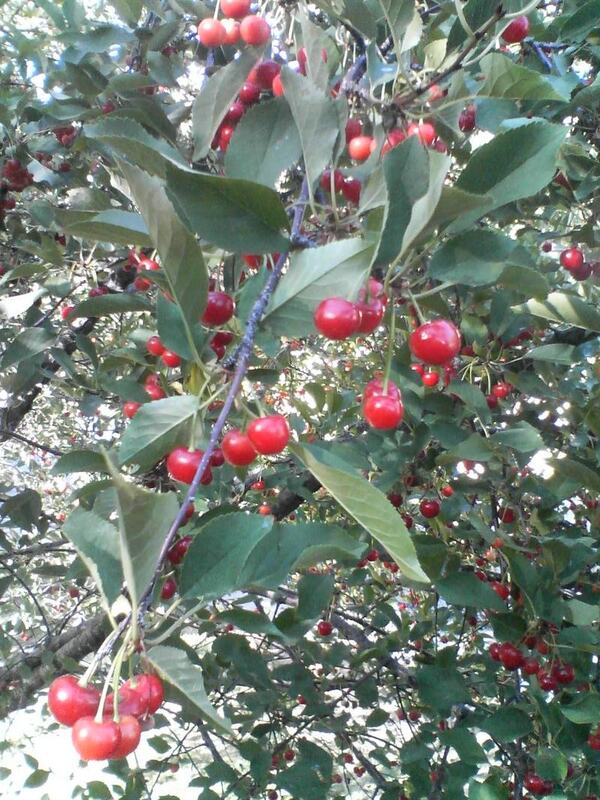 The wife of our branch manager in Reno, Nevada has the most wonderful orchard that she cultivates in their yard! 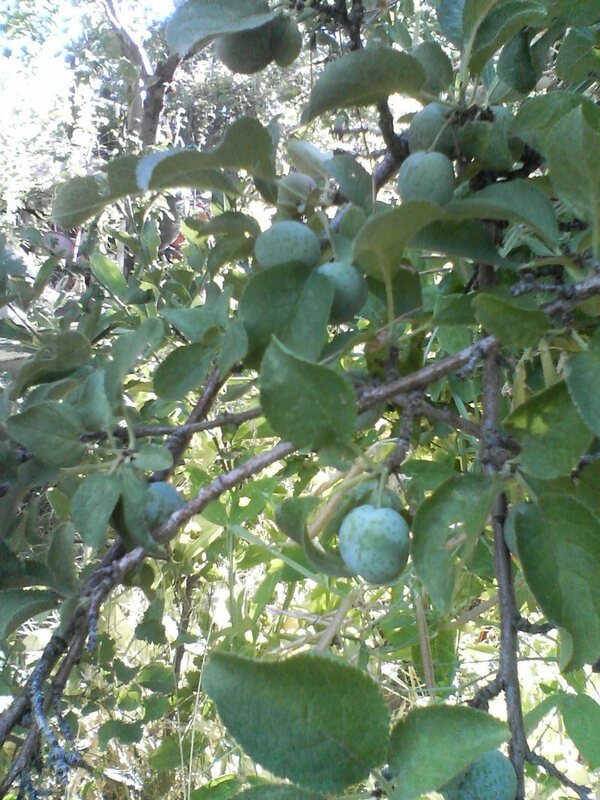 When I was there last month, she proudly showed me these plums, which by now are probably perfectly ripened! There is almost nothing that thrills me more then the sight of fruit growing on the trees! These were beautiful, with a shimmering, cloudlike shading against their green flesh. She said that they were a specific sort of Japanese plum with a gentle and sweet flavor. This is when I wish that i could be several places at once! Okay, this was my favorite part of Reno! These are the sour cherries that were ripening during my visit. Pam was amazed that I was eating them by the handful off of the tree! Sour cherries aren't really all that sour unless you try to compare them to Bing cherries or the Queen Anne varieties. They are definitely tart, but with a flowery flavour all their own, and a subtle sweetness that is yummy. These were warm and juicy when I was eating them, absolutely blissful. If you are ever lucky enough to try them fresh like this, don't let others discourage you! They are incredible mixed with a bit of brown sugar or maple syrup and poured over ice cream. I also love to eat them in pie (obviously!) or cooked with pork or beef (and a lot of spices) for a medieval flavor that is surprising and wonderful! The highlight of the Merrill Lynch Hunter Jumper Classic is always Grand Prix day, when old friends gather in the box section to share a meal and catch up on all of the years happenings! Everyone brings a dish to share, and this year I decided to bring a chilled Nicoise salad. A Nicoise salad is usually made with very good canned tuna, the kind from Italy canned in olive oil or chilled lump crabmeat. Given the heat of the day , I decided to use chicken and the results were really good. I was so flattered because everyone loved it and asked for the recipe! 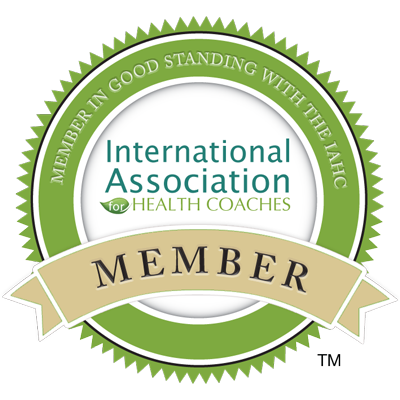 It's really so easy, and takes about 5 minutes to put together! Chicken breasts that you have roled in mayonnaise (Helmanns!) and then dipped into a mixture of onion powder, parmesan cheese and Italian bread crumbs. Bake them at 350 for about 40 minutes and let them chill overnight , then thinly slice. Fresh Haricot Vert ( skinny French green beans! )that you have blanched, chilled well and tossed in a mixture of good olive oil, sun dried or roasted tomatoes, freshly minced garlic and pine nuts. Quartered Redskin potatoes that you have roasted with some olive oil, paprika, salt , pepper and rosemary and chilled overnight! Really fresh romaine and raddichio lettuces! Find a pretty platter (not silver or metal because of the reaction with the egg and vinegar!) and spread out the lettuce. After this, it's up to you to be the artist! You can layer the ingredients, make lovely vertical patterns with them, whatever you fancy! This salad also is a very pretty plated first course! Just do the arranging on smaller plates! The dressing can be any really good garlic vinegrette, either bottled or homemade, but the special word here is GARLIC! This salad should be lightly dressed, and your guests can always add more to taste! If you can't find Garlic Expressions! 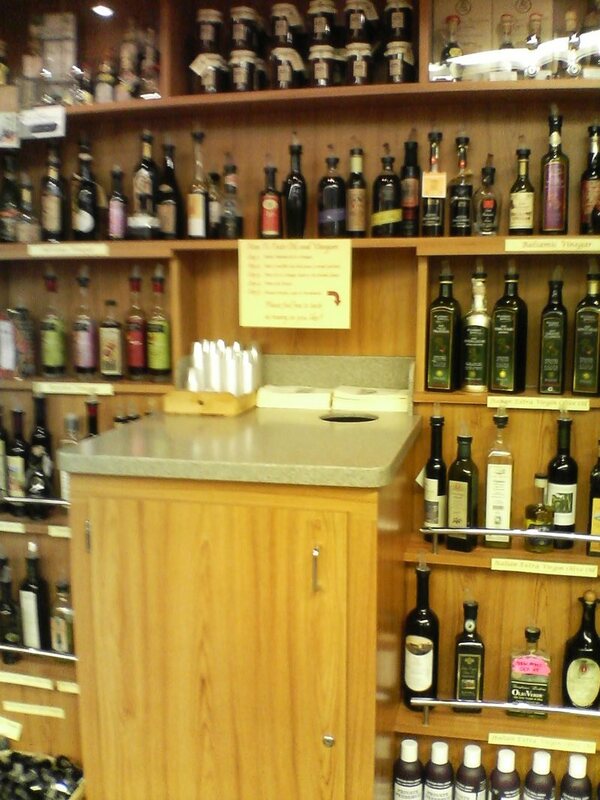 salad dressing, it's very easy to make your own. Some olive oil, dijon mustard, salt, pepper, champagne vinegar and LOTS of freshly minced garlic whisked together to your taste should do the trick! Serve with a French baguette and butter, some fresh summer fruit and some chilled champagne for a feast straight from a Manet painting! 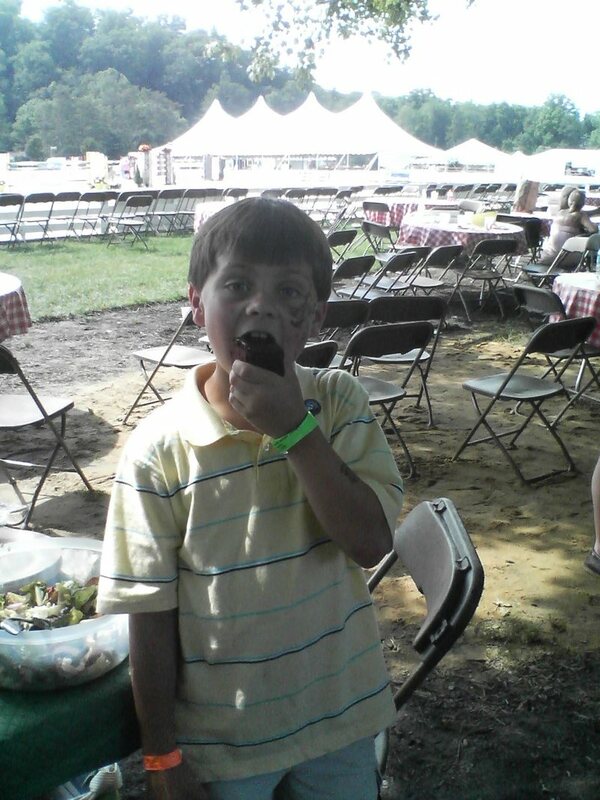 This is my young friend Ryan, polishing off some really good chocolate cake at the end of yesterdays Cleveland Grand Prix!